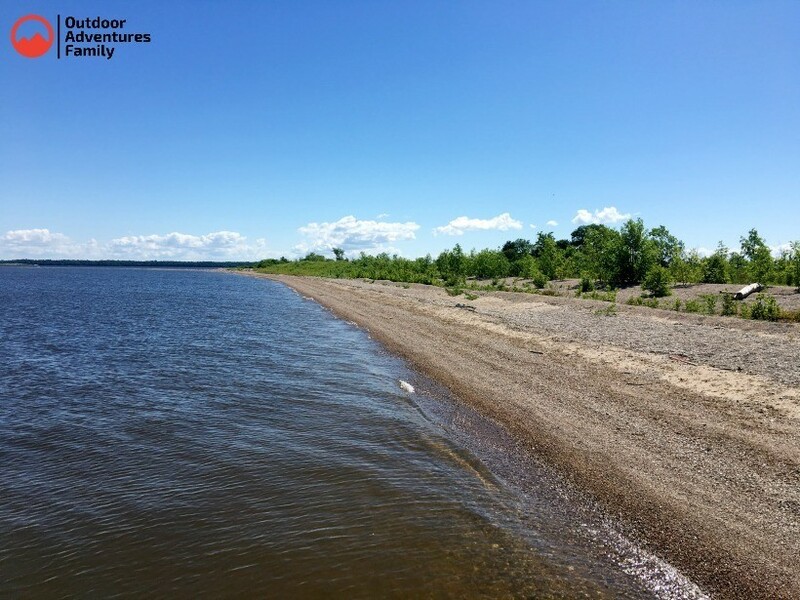 Zippel Bay Campground offers a large campground with a public marina, white sand beaches and plenty of boating and fishing opportunities to keep you busy! Here’s an overview of our stay there, along with the pros and cons. 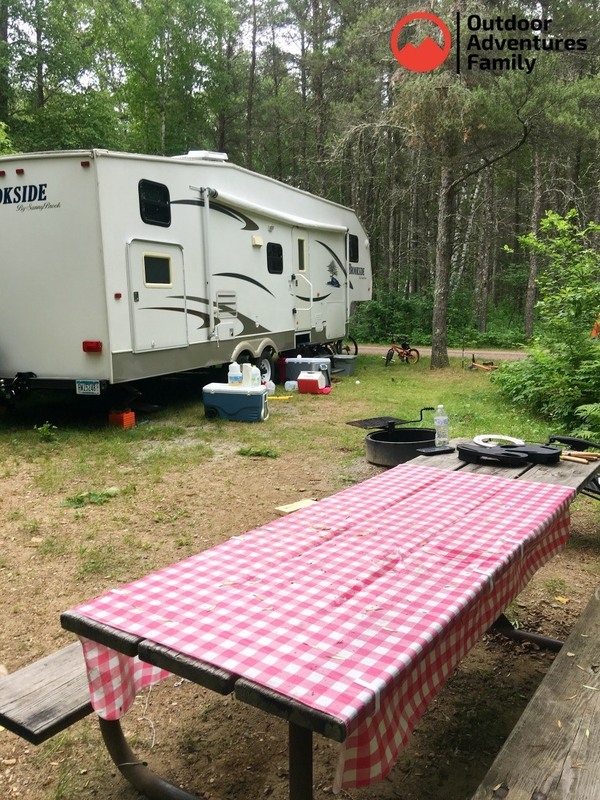 We spent 6 days at Zippel Bay campground in Lake of the Woods County in Minnesota. We had a fantastic experience there and I think you’ll find the array of features it offers are worth the drive north to this campground. 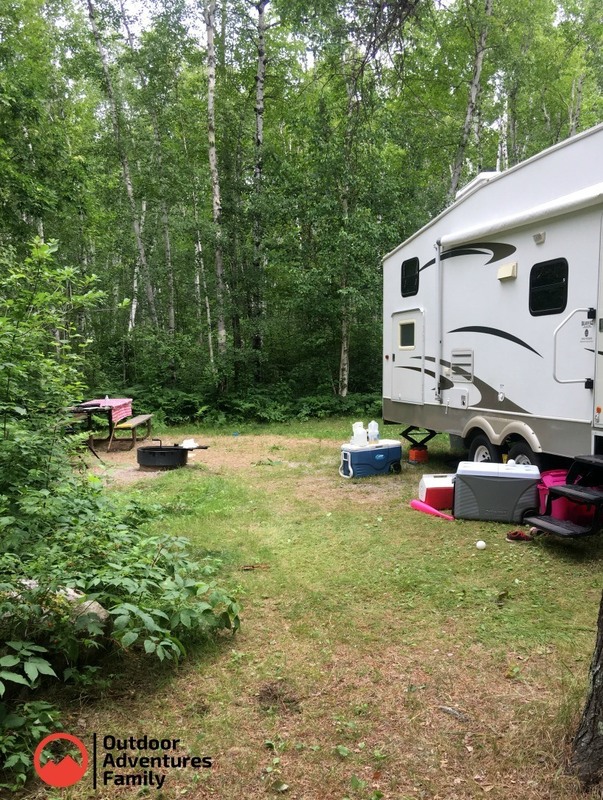 Zippel Bay Campground offers many campsites on several different loops. The campground is huge and each loop is far apart. You’ll also find each loop is quite a ways from the marina and beach areas. You’ll need a bike or a vehicle to get to them efficiently. The campsites themselves are on the small side and while they will work well for tenters, they present challenges to larger RV’s. We found there were a handful of larger sites that could host a fifth wheel or larger camper. Our site was one of those larger sites, but there were plenty of sites that we wouldn’t have fit in. 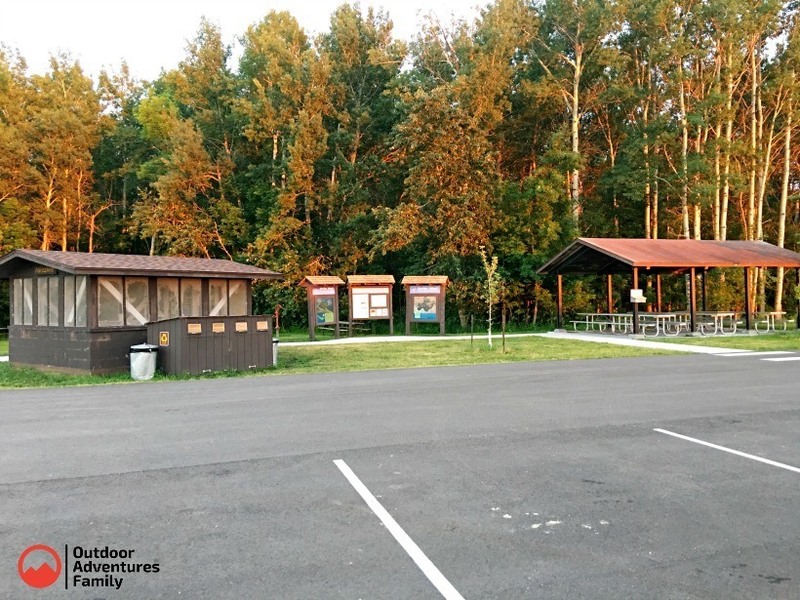 Be sure to check the site length when reserving a site at this campground as many are not adequate for any RV. Each site has a picnic table and fire pit. 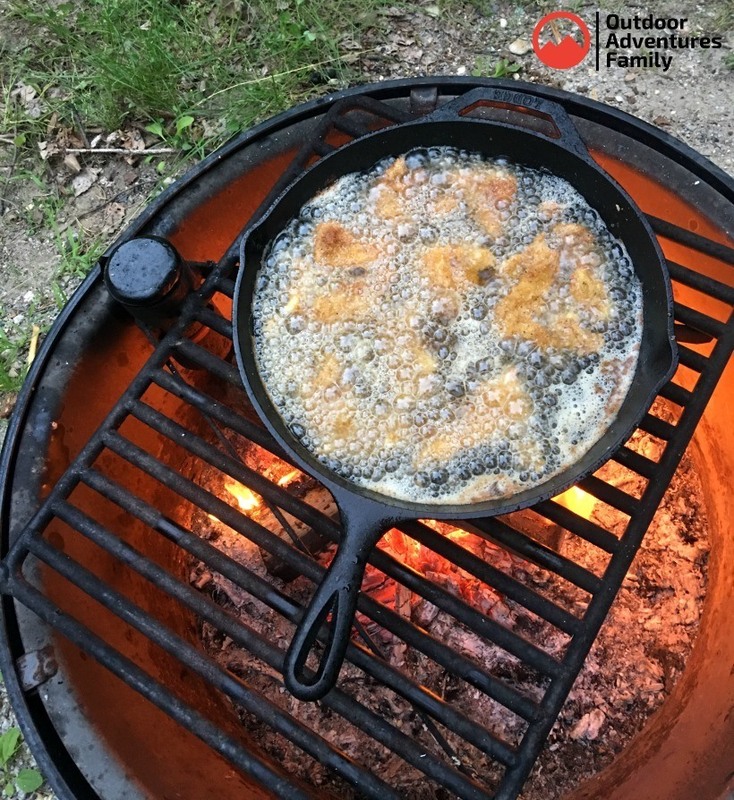 Ours had a grate over the deep fire pit which was perfect for frying up our fish we caught that day on the lake! 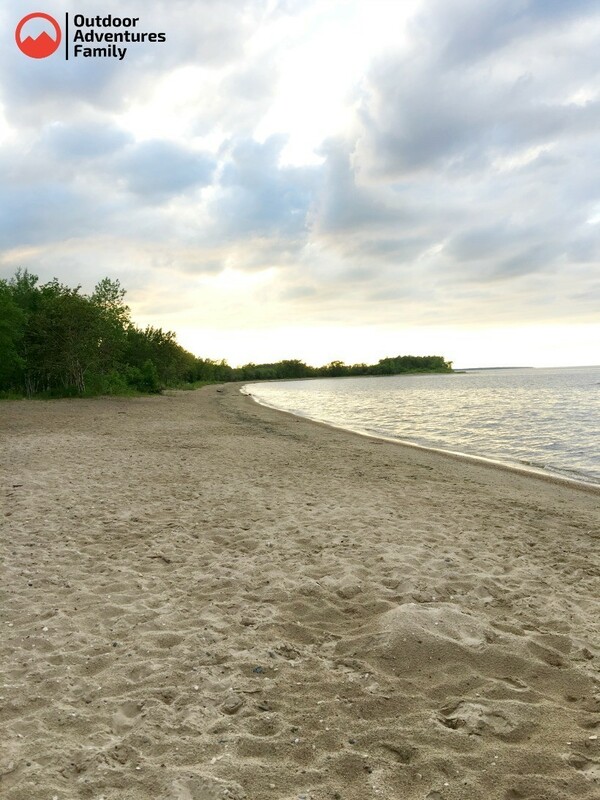 There is a gorgeous sandy beach at Zippel Bay campground. It is a public beach and has bathrooms, change rooms, picnic tables and sugar sand! We were so impressed by the soft sugar sand and the water stays shallow for a really long ways out! There are some rocks but you can walk out past them and it gets sandy. 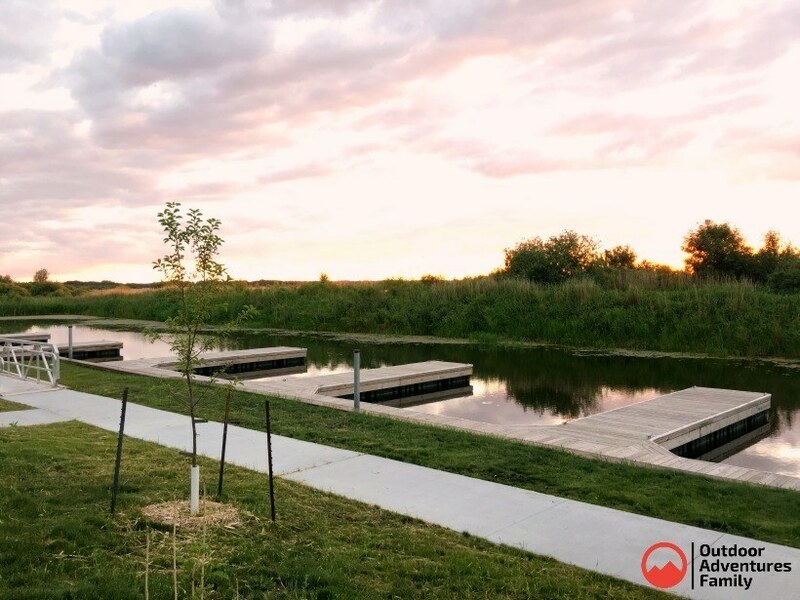 The public marina at Zippel Bay State Park has a fish cleaning house, covered picnic area, water pump, several docks, a fishing pier and a boat landing. The fish cleaning house has a nice table to clean your fish at. It doesn’t have water piped in but there is a water pump nearby where you can fill a bucket with water and use that while cleaning your fish. 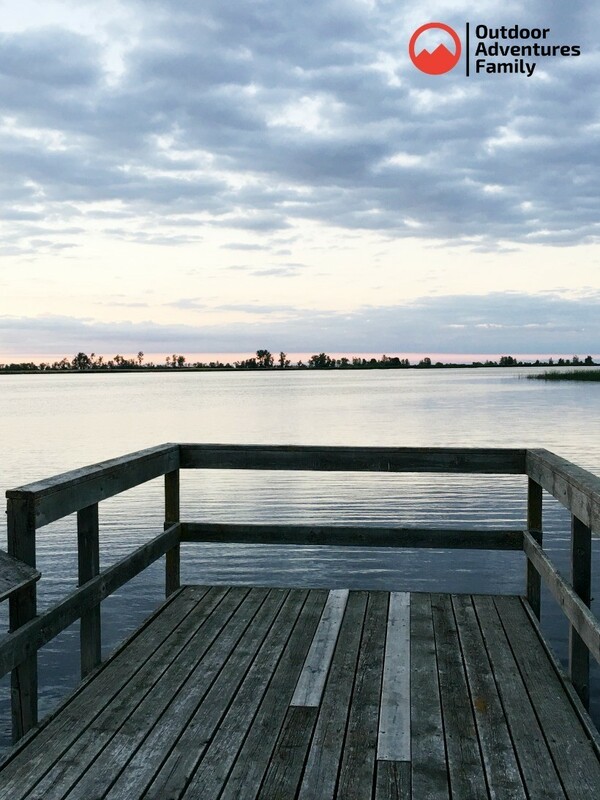 There is a fishing pier accessible by land so even if you don’t have a boat you can fish this great lake! You’ll find plenty of walleye and Northern pike fish in this lake. We docked our boat at one of the many docks in the marina. They are beautiful and look brand new. There are also plenty of beaches you can access by boat. They are everywhere! You’ll find sugar sand and shallow waters near the shores. We spent a lot of time at various beaches accessed by boat. Just pull up and enjoy your own private beach! 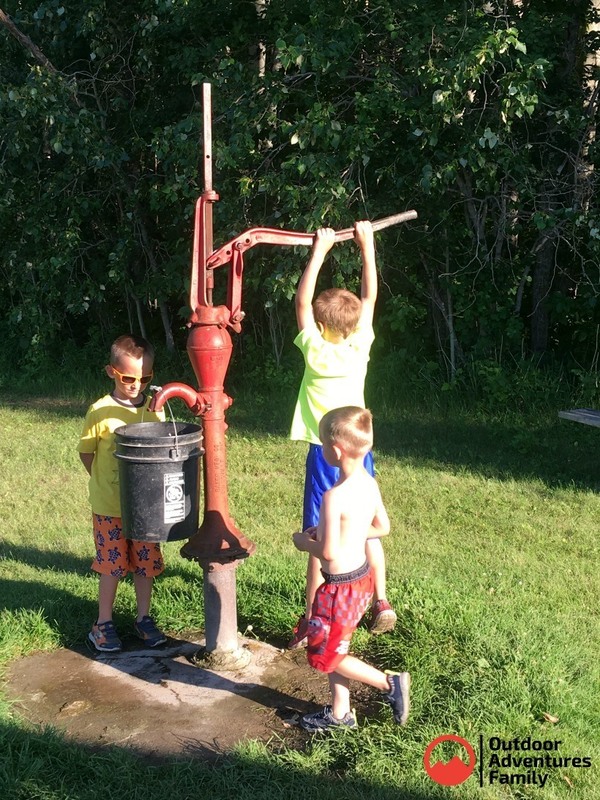 Our kids even got to check out an artesian well near the public beach area. They had never seen one before and it was a great teaching moment! If you have time I suggest heading out to Garden Island which is 20 miles from Zippel Bay. It is far North and you’ll nearly be in Canada when you are there. It has gorgeous sand beaches, wildlife and beautiful sites. It’s a must-see. 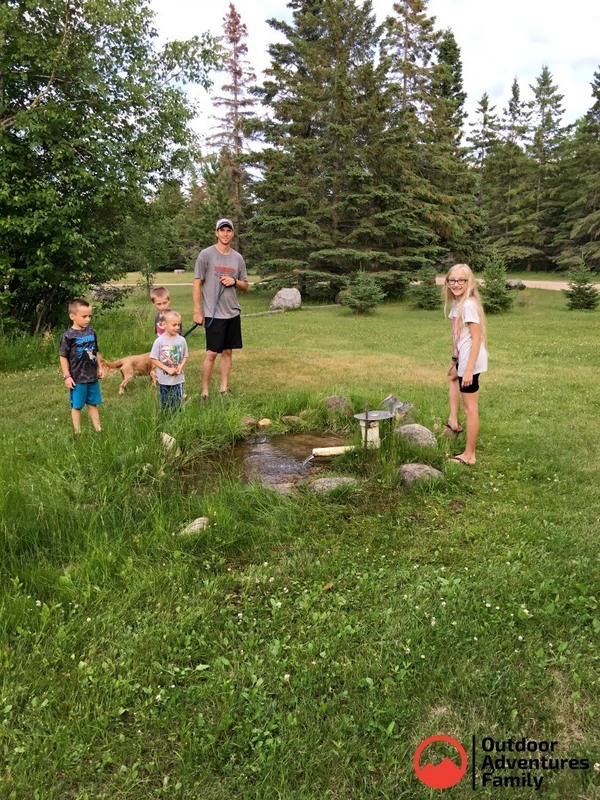 You can book your stay at Zippel Bay Campground on the MN DNR website. Reservations are required.